Why fourteen? That's an excellent question, dear readers. It was actually going to be thirteen, but I forgot to include a movie in the "Middle" section and figured "oh, what the hell?" and decided to include it here. We can pretend there are fifteen if you'd like, and I'll just leave an open spot at the bottom for you to fill in with your favorite movie that I overlooked (for example: Life of Pi, The Grey, Beasts of the Southern Wild, Battleship...), but for now I'm cutting it off at fourteen. Because fourteen reviews, even in a smaller than normal for the Cap'n format, is going to mean a lot of digital real estate, I'll break this up for you into two parts. Trust me, your eyes will thank me. As you might have heard, this would have been here a week sooner had I not been privy to a movie that hadn't been released yet and accordingly put the Cap'n under embargo. As it shifted the entire dynamic of what I considered to be the "Best" of 2012, naturally I had to wait, and in the interim most of you have since seen it. So you don't have to wait to find out what it was (or don't want to guess), we'll start the list with that film. The list is in no particular order, because how the hell am I going to rank such disparate (but excellent) experiences against each other? Zero Dark Thirty - I'm going to sidestep all of the debate about the politics behind killing Bin Laden or the implied advocating of torture in Kathryn Bigelow's partly-fictionalized telling of real events because it doesn't matter in this sense: the noise surrounding the film does not, in and of itself, change the fact that Zero Dark Thirty is a riveting, intense, and compulsive "edge of your seat" experience for two and a half hours. I found myself getting dragged into the ancillary issues when talking to people who hadn't seen the film, mostly because once you have it's pretty clear that the concept of "advocating torture" or "enhanced interrogation" in the film itself is overstated. Zero Dark Thirty is, at its core, a procedural about obsession, personified by "Maya" (Jessica Chastain), a CIA operative who fixates on the notion of finding Bin Laden's courier and killing the leader of Al Qaeda. That's it. Other members of the team come and go - some live, some die, some come back, but Maya is relentless and single-minded in her quest to track down a man she isn't even sure exists and then "kill Bin Laden." Chastain is fantastic in the film, and if for nothing other than the scene near the end when she realizes what her myopic view on the "war on terror" cost her as a human being (we know almost nothing about Maya at the outset and learn very little over the course of the film) I firmly believe she deserves an Academy Award. As I said in the first paragraph, Zero Dark Thirty is an intense experience. From the opening, when we hear (but do not see) 9/11 from first responder phone calls and voice mails to the harrowing final thirty minutes - where we follow Seal Team Six (led by Joel Edgerton) into the compound - the film is gripping and relentless. Despite knowing what happened, I found myself wrapped up in the film and unable to divert attention during the raid, and that's just the capper to an already gripping film. It never feels inauthentic, even when you start recognizing actors like Jason Clarke, Mark Duplass, Harold Perrineau, James Gandolfini, Stephen Dillane, and John Barrowman (yes, Doctor Who fans, Captain Jack Harkness has a small role as the CIA Director's assistant). 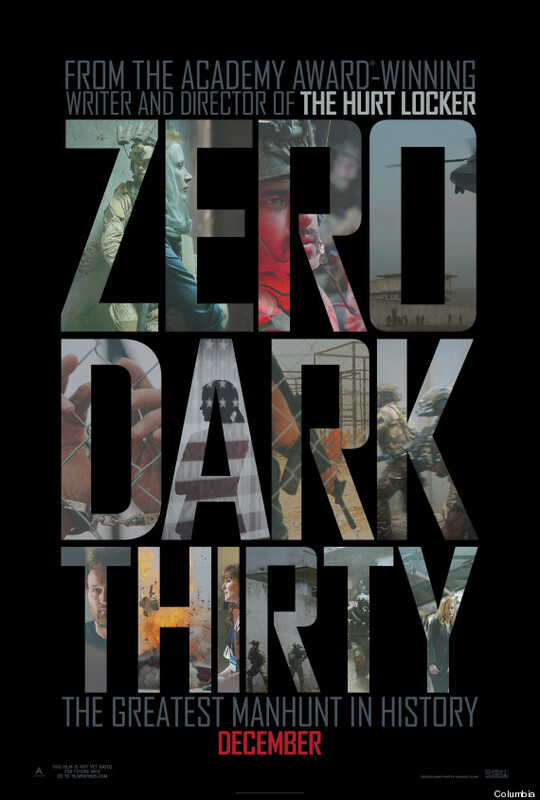 I didn't honestly think that Zero Dark Thirty was a movie that I wanted to see before it came out, but I have to admit that I'm glad I did watch it. It's an excellent companion piece to a movie on part two of this list, also based on CIA operations, and while that one has a little more humor and might be seen as more palatable to most audiences, if you have the stomach for a terse, unemotional thrill ride, you must see Zero Dark Thirty. 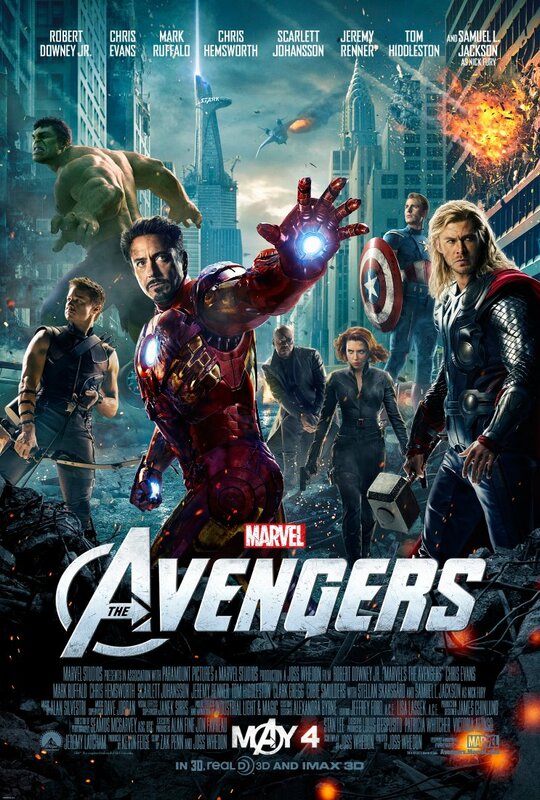 The Avengers - Because of how long ago it was since I saw The Avengers, I tend to forget about it when talking to people about my favorite movies. That's a mistake, because there's a tact implication that I somehow don't think that The Avengers isn't quite an achievement and also immensely satisfying as a comic book movie. I'm not in love with qualifying it as a "comic book movie" as though it makes it "less than" normal movies, because with one or two exceptions, The Avengers was the most fun I had watching a movie this year. To be greater than the sum of your parts, especially when those parts included Iron Man, Thor, The Incredible Hulk, Iron Man 2, and... uh, Captain America (okay, I didn't love Captain America) is impressive in and of itself, but to take those films and create a narrative that feels like a natural continuation of each of the individual story lines (especially Thor) is really something. It feels like old hat congratulating Joss Whedon for finding a way to balance so many disparate elements (and it won't be the last time I do it in this recap), but I'll be damned if he didn't manage to avoid getting bogged down in back stories and interpersonal relationships and get straight to the point, delivering a cracking fun experience along the way. Does it all make sense? No, not really. It's easy to nitpick things like "I'm always angry" or laughable expository lines like "Loki! Brother of Thor!" but Whedon keeps the story moving along at a brisk pace for the first and last third of the film, only slowing down on the airship to let the superhero dynamics play out in the dysfunctional way only he could imagine. It's a long film that rarely feels long, punctuated with good action, great special effects, and big laughs (it took most audiences until the second time they saw the film to hear Hulk say "Puny god" because they were laughing so hard). For sheer popcorn entertainment value, The Avengers handily takes the prize over The Dark Knight Rises, and while I've seen both films more than once already, The Avengers will probably get the edge when I'm ready to watch one of them again. Lincoln - So I meant to put Lincoln at the top of the "Middle" after 21 Jump Street, and despite my misgivings about how Steven Spielberg chooses to end the film (take a guess), there's something I liked so much about this film that I'm actually comfortable putting it up among the very best. Picture in your mind "Steven Spielberg's Lincoln": life story, big speeches, struggles with the Civil War, internal debates about emancipation, and you know, ending how it's going to end. Now throw out almost all of that, because Spielberg and Tony Kushner instead took Doris Kearns Goodwin's book Team of Rivals and focused in on the month of January, 1865, as Lincoln is trying to effectively end the Civil War by cajoling Congress into passing the Thirteenth Amendment. Specifically, the House of Representatives. While there's more going on in the background of Lincoln (including a delegation of Confederate leaders preparing to negotiate peace and Robert Todd Lincoln's determination to serve for the Union army), the film is narrowly focused on passing the amendment that outlaws slavery. Does Spielberg sneak in the Gettysburg address? Kind of - the film begins with Abraham Lincoln talking to a few soldiers, two of whom nervously recite most of the address, but we never hear Daniel Day-Lewis say it. Instead of a "greatest hits" approach, the film is more interested in pursuing what Abraham Lincoln was willing to do in order to ensure that his "bending of the law" through war powers would become a permanent legal decree in the United States, and if that meant hiring men to grease the right palms, he wasn't wholly opposed to it. Lincoln asks William Seward (David Strathairn) to hire a trio of unsavory types (played by Tim Blake Nelson, John Hawkes, and James Spader, who provide much of the comic relief in the film) to entice several members of the Democratic party (played by the likes of Walton Goggins and Michael Stuhlbarg) to vote for the amendment, one vigorously fought for by Abolitionist Thaddeus Stevens (Tommy Lee Jones). And that's the film - it's about the President's willingness to do what he has to do in order to pass what he firmly believes is right, even if it means politics making strange bedfellows. It's not at all what I expected from the film and to be quite honest was less reverential than I'd assumed it would be. Lincoln is portrayed as a man who wants desperately to do right, even if it means ending the war on his terms and not through more readily available means. 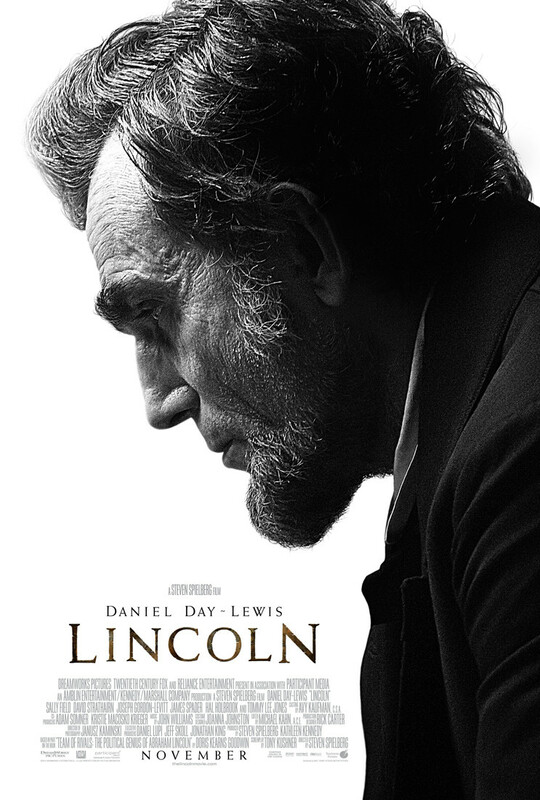 Aside from the foolish decision to extend the ending beyond January of 1865 and unnecessarily jump forward three months, Lincoln is a refreshingly unexpected take on the historical biopic. It also has just about everybody in the movie. Okay, maybe I'm exaggerating a little bit, but not by much. When David Costabile (Gale from Breaking Bad) and Adam Driver (from Girls) are in the same movie, that's no small feat, but here are some of the recognizable names in Lincoln that I haven't already mentioned: Hal Holbrook, Joseph Gordon-Levitt, Jackie Earle Haley, Bruce McGill, Sally Fields, Jared Harris, Lukas Haas, Lee Pace, David Oyelowo, and Dane DeHaan (from Chronicle and Lawless). That's Spielberg, I guess; he can get anybody for his movies. 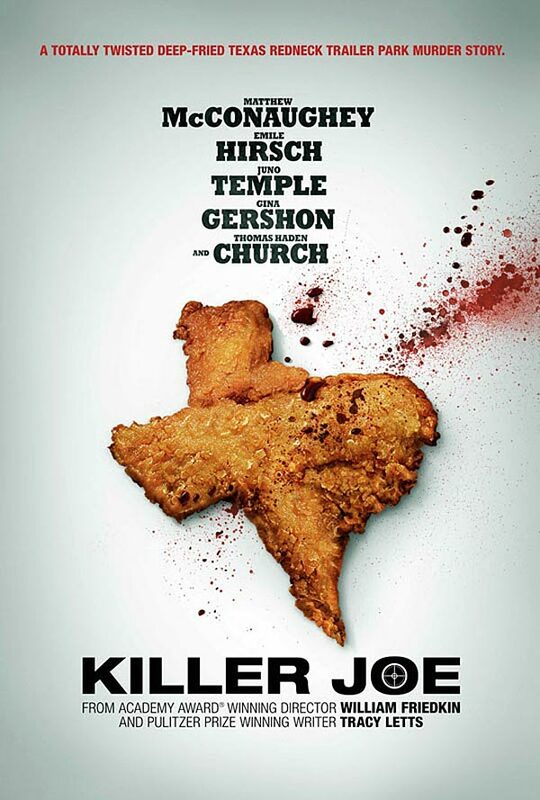 Killer Joe - This is a tough film to watch, but damn was I impressed by the end result. William Friedkin (The French Connection, The Exorcist) re-teamed with writer Tracy Letts (Bug) to adapt his stage play and it's a nasty slice of neo-noir the likes of which haven't been seen since Joel and Ethan Coen made Blood Simple. On the surface, it's a pretty basic film noir structure: a down on his luck loser, Chris Smith (Emile Hirsch), owes the wrong kind of people more money than he has, so he talks his old man Ansel (Thomas Hayden Church) into killing his mother (Ansel's ex-wife) to collect the life insurance that's in Dottie (Juno Temple) - Chris' sister's name. Since they don't want to be directly involved, Chris heard about this detective, Joe Cooper (Matthew McConaughey) who moonlights as a hitman. The only problem is that they don't have the money Joe demands up front, so the deal's off. But Cooper takes an interest in Dottie, and provided they put her up as a retainer, he'll do the job. There are some nasty twists and turns, involving Chris' unhealthy interest in his sister, Dottie's unpredictable social awkwardness, and Ansel's new wife Sharla (Gina Gershon), but the real treat of Killer Joe is watching McConaughey's titular character dance around this family, who are in way over their heads. It all comes to a head during a particularly brutal dinner scene near the end of the film, one that almost assuredly earned Killer Joe its NC-17 rating. I'll just say you'll never think of KFC the same way again. I won't pretend that this is a movie many of you will be able to handle, but if you like your neo-noir gritty and southern fried (i.e. : you really like Blood Simple), Killer Joe is essential viewing. 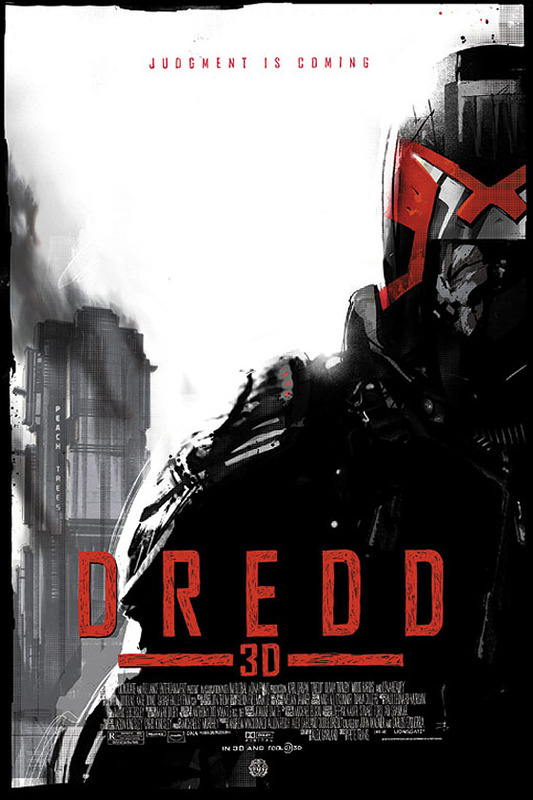 Dredd 3D - I had no interest in Dredd whatsoever from the period it was announced to the point the press screenings started. Perhaps it was the memory of the Sylvester Stallone farce from 1995, or the uninspiring announcement of Karl Urban as Judge Dredd (sorry, but when you have Doom and Pathfinder on your resume, Star Trek and The Lord of the Rings get cancelled out), but I assumed it would be another low-rent, lame-o post-action comic book adaptation that would fade away into that good night. I couldn't have been more wrong. The first indication that Dredd was more than just a quick cash-in on a vaguely recognizable comic character were the surprisingly positive reviews from just about everywhere. Then I heard that Urban never took the helmet off, which sounds minor but is actually quite a significant indicator that the source material was being taken seriously. Coupled with a hard "R" rating for what turns out to be pretty graphic violence and a plot structure not unlike The Raid: Redemption, Dredd started to look like it could be a pretty damn good movie. Sure enough, it's better than pretty damn good. while limited in scope, the decision to focus on Dredd "training" potential Judge Anderson (Olivia Thirlby) and ending up under siege by drug manufacturer Ma-Ma (Lena Headey)'s gang operation in Peachtree Tower is exactly what this film needs. It's not an "end of the world" scenario or a super villain that our heroes have to contend with; it's just the bad luck of the call that Anderson decides to answer out of any number of crimes in progress in Mega City One. We're allowed to acclimate to the world of the film with our main characters in small doses, seeing Dredd and Ma-Ma through the eyes of Anderson, a rookie who can't pass her exams but who gets a shot because of her psychic abilities. And she makes the best of it, even when the decisions get tricky (like when she realizes the husband of a woman who helps them is a perp she killed in cold blood). The "Slow-Mo" drug that Ma-Ma is introducing to Mega City One gives us the opportunity for even more violent moments in an already excessively violent film, but it's a satisfying kind of excess. Dredd is the sort of action movie that understands sometimes it's best to strip away all of the subplots and gimmicks and just deliver on the goods. It does that, and not at the expense of anything. It's stripped down but not "no-frills". Just "no crap," and that turns out to make a big difference in the quality department. 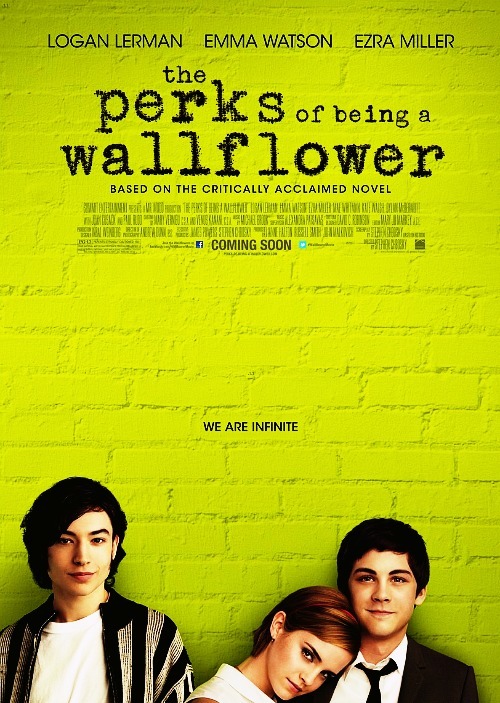 The Perks of Being a Wallflower - While it wasn't my intention to have this half of the list be movies I wasn't overly enthused about initially, Stephen Chbosky's adaptation of his novel wasn't high on my list of "to see"s late in 2012. While not having read the book was probably a factor, I was more turned off by the trailer, which seemed to be marketed to the same demographic that eats up The Hunger Games and Twilight. It's not that I don't understand that it has its purpose for that generation, but it's not my cup of tea. What I didn't know about The Perks of Being a Wallflower turned out to make all the difference. Rather than being a movie about what it's like to be a teenager in 2012, Perks is Chbosky's story of what it's like to be in high school in the mid-1990s. Appropriately, the story of Charlie (Logan Lerman) coincides almost exactly with when I was a freshman in high school, and the film immediately was more resonant. It's not that our experiences were the same (aside from having friends involved with The Rocky Horror Picture Show, they aren't at all), but it brought back memories of what it was like to be that age in that time. It's not just the "no cell phones or internet" or any of the other generational shifts between 1990 and 2012, but it was funny when Charlie, Patrick (Ezra Miller), and Sam (Emma Watson) hear David Bowie's "Heroes" while driving around and they don't know who it is. It takes them a year to find out, which isn't as outlandish as you might think for the time period. I can't say that I loved the sharp left turn the film takes in the final act (even if it slowly laid the groundwork over the course of the story), but Chbosky's self-adaptation stuck with me long after I finished the movie, and that counts for something in my book. The Perks of Being a Wallflower has the ability to make an emotional connection with the audience, one that overcomes any hiccups in the story structure. Also, I appreciate the inclusion of Paul Rudd and Tom Savini as teachers at Charlie's high school. The former I knew from the trailer, but the latter was quite a surprise, much like Melanie Lynskey's cameo that weighs heavily on the second half of the film. 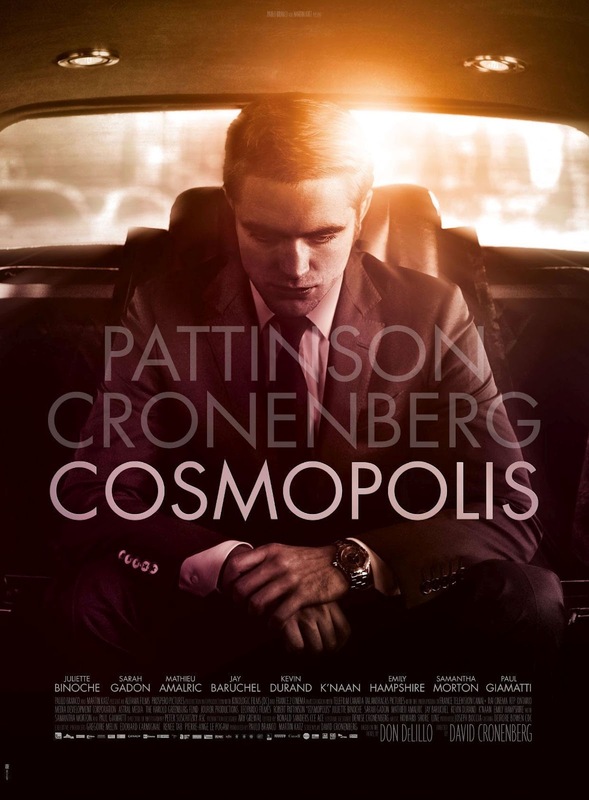 Cosmopolis - I'll close this first list out with one of the two movies I've actually already reviewed. I watched David Cronenberg's Cosmopolis again not too long ago, and I think I like the film more, even as it aggressively works to keep you at arm's length. I totally understand why people would opt to put it on their "worst of" lists, and while I disagree, I don't dismiss the negative reactions. One has to work very hard to find the inherent value in Cosmopolis, and even then it always threatens to slip away from your grasp, to leave you adrift in a sea of seemingly pointless philosophical meandering, often for its own sake. So yeah, I can totally understand why it may not be worth the effort. I'm still working on what the extended effort on my part towards the film amounts to, but I feel like I'm getting there, and that the time spent in DeLillo's world as told by Cronenberg through Robert Pattinson is worthwhile. In the words of Radiohead, "I might be wrong," but it's a risk I'm willing to take.